After the death of three Milwaukee police officers in a matter of eight months, one former officer who survived being shot in the line of duty shares his story. Lt. Brian Murphy was shot more than a dozen times during the Sikh Temple shooting in 2012. "You're surprised at which the speed of everything occurs," said former Oak Creek Officer Brian Murphy. Murphy was the first officer to respond to the Sikh Temple massacre that left six people dead. He was shot in the back of the head, in the left arm and in the left hand. "After that 15th shot that hit me in the back of the skull, then all I could think about was my family." Murphy was millimeters away from being the seventh victim of the Sikh Temple shooting, but all he can think about now is Milwaukee Officer Matthew Rittner who was killed in the line of duty Wednesday. 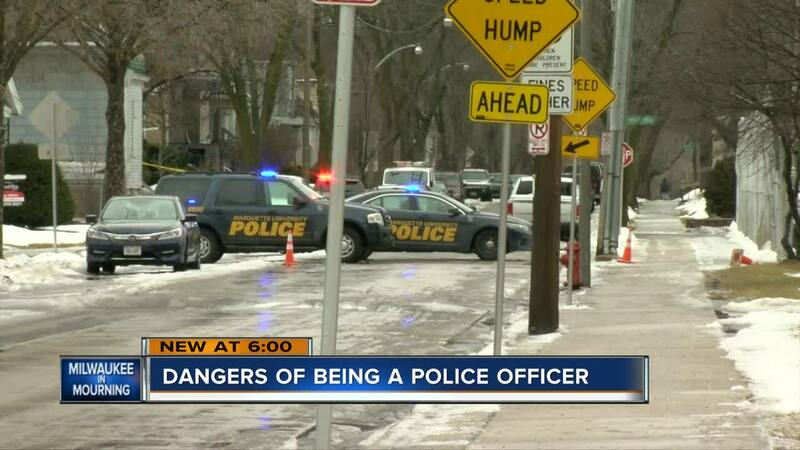 He wants the community to know the dangers officers face when they go to work every day.